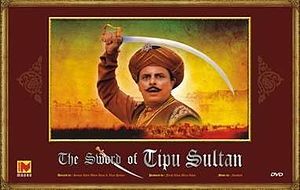 We see rise of Haider Ali and his friendship with Pandit Purnaiya, Ghazi Khan and other while moving forward watching Hindi TV Serial The Sword Of Tipu Sultan from we left. Here is the quick link to the last segment we have reviewed. We must state that the TV serial is based on the novel of the same name by author Bhagwan S. Gidwani and it never claim represent the history in its accuracy. It is rather a dramatized version of the book. There are several good points this serial convey which is what it is good to watch for. This segment focus on one of the best relations we can have – the Friendship. One need confidante, trustworthy fellows to whom one can consider as extension of himself. Usually we find them in true friends. Haider Ali befriended with many people like Ghaji (or Ghazi) Khan, Pundit Purnaiya (or Purniya – Purnaiah) and other who gave him the support and truly extended him. The religion or caste of the friend is and was never important. We saw that in Mahabharat as well (remember Krishna-Sudama, Karna-Duryodhan or from Ramayana Ram-Hanuman, Ram-Sugrive, Ram-Vibhishan friendships for example). The scene where we see a serpent is moving over Haider Ali when he was sleeping, a young boy see it and furiously run to a sage who is doing his ritual, and tells him the same. The sage tells boy to be calm and profess the future of Haider Ali. The actor playing the young boy underperforms. The scene afterwords lead to a small fight and in that scene also we see there are several actor does poor acting. The stuff could have been a lot better. Naushad’s background music is the heart of the TV Serial in addition to first rate dialogs, for sure. The first meeting between Haider Ali and Pundit Purnaiya is filmed dramatically. The before that is not very convincing though. However good acting of Shahbaaz Khan and Anant Mahadevan saves the scene. And yes, the dialogs are good. The actor playing Khanderao is also not convincing enough. The scene where Haider introduces Purnaiya with his friend is a good watch, but we feel that it could have been better. Time waits for none and flies continuously, we see that the time for Haider to get married arrived. The resident of Haider and his friends in Jungle is quite authentic. One fantastic dialog comes here when they were doing their routine work a day; it is: “Do-Dhari Talvaar Ki Ek Dhar Hamesha Apni Gardan Ki Aur Rehti Hai“. The burst into laughter by Shahbaaz Khan (as Haider Ali) following this dialog proves how good he is as an actor. The scene where Haider receives a letter from his mother is good to watch. It not only explores the fact that Haider and his friends (apart from Pundit) are illiterate, but also explores how soft they are from the heart. When hearing words written in letter they got emotional and a feeling of mother-children relation is explored pretty well. The scene has good emotional quotient. The acting of almost all the actors is really good and the dialogs are first rate here as well. The respect they all (of course one friend’s mother is not less than a mother for his friends) give, the emotional vibe they share – explored pretty well. Also the meeting of mother-son is filmed well. By the way, Haider Ali is now got married but that is something to watch rather than to discuss, it was not a grand ceremony of course as Haider Ali is on run. The preparation of war at NanjaRaj’s tent is also good to watch. It discusses about various factors and attributes play their parts in a war. However the acting is poor apart from a couple of actors in these few scenes. Overall a segment with some poor and some great acting. The dialogs are really nice. The background music is fantastic. The moral and emotional quotient is good. And based on the content it is good to watch. The other nice thing is the DVD quality which makes it a delightful experience to watch it. Also it is not stretching the story unnecessary (which is now seen often in TV Serials) and moves ahead straight forward. That is a positive attribute and such pace of story makes it a good watch. To be continued in the next instalment of the reviews for – The Sword Of Tipu Sultan.